Need help getting your personal and professional life on track? Get started with these free resources. You're ready to start your online business but there's one thing holding you back. You don't think you can afford the start up costs. What if I told you setting up your business would cost you less than your monthly manicure and you could do it in just 5 simple steps? Well that's exactly what you'll learn in this free guide. Click the button below to download now. Are You Ready To Dominate Your Day And Take Control Of Your Life? Dominators set goals, prepare a plan of action and execute that plan daily until their goals are accomplished. When done consistently it becomes a habit that produces a lifestyle. This ebook shares tips and strategies to help you develop the habits necessary for you to accomplish your goals, dominate your day and take control of your life. Click the button below to download now. If you're frustrated because you don't know what you're meant to contribute to the world or you feel like there's more to life than what you're currently doing but you're not sure exactly what it is? This workshop is for you. 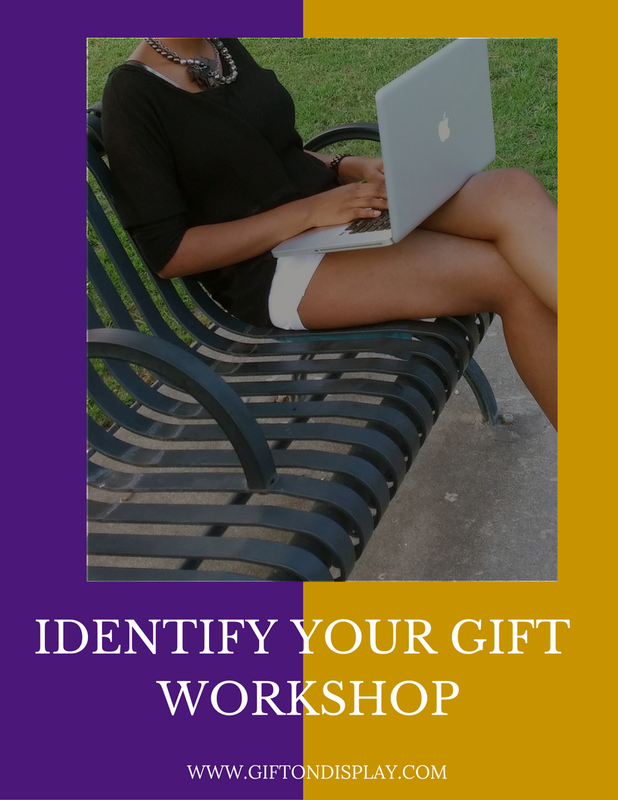 Identify your gift is designed to help you quickly learn the steps to gain clarity and confidence, so you can focus on what you were born to do. Click the button below to download. This mini e-book will help you to take a good look at where you are and the steps that got you there. Once you identify the mistakes you made, you can learn from them and use them as a tool to change your blueprint.